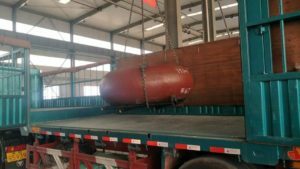 Amincem has developped is own technology to make ceramic rollers and table for the vertical roller mills and has patented this technology in several countries (Europe, China, India, South Africa, Turkey, …). The advantage of our technology is to increase the hardness of the parts and so decrease the wear of the table and the roller. 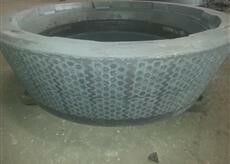 The components used are a bit more expensive but the gain in terms of wear is high. 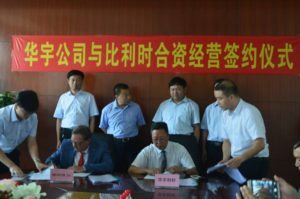 In 2017, Amincem signed a joint venture agreement with a Chineese foundry to operate the patent and becoming a leader on the market of ceramic rollers in the cement industry. Amincem has 25% in the foundry. Our 2 Europeans foundry experts are supervising the production and checking the quality of the ceramic rollers made in the factory of our Chineese partner. The rollers are now ready to be proposed to Cement plant. 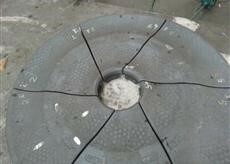 Amincem and his expert team made a test in a cement plant in India. 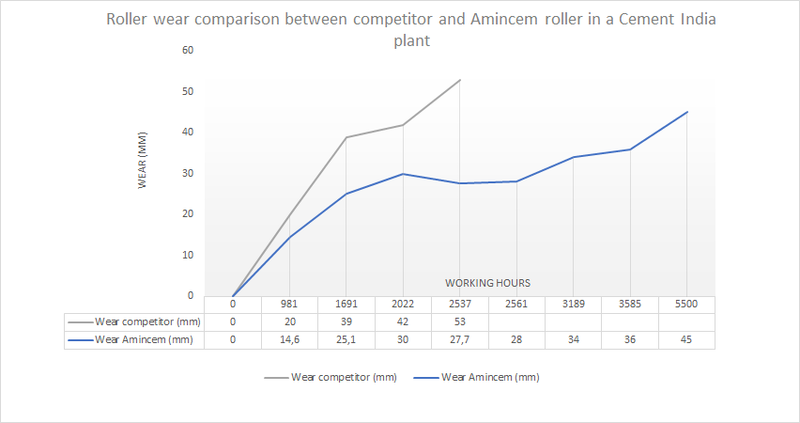 We compared the wear of our ceramic rollers against competition roller on a vertical Roller Mill during 6000 hrs working time. As presented here after, our rollers was more than 2 times better than the competition roller in wear. The visual comparison confirm easily the previous graph. The following picture show the competitor roller after 2537 hours. 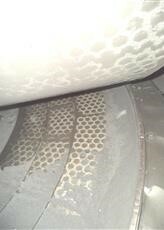 Here after is our rollers after 4100 of working hours!